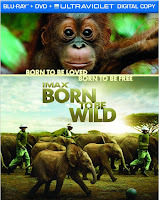 The 2011 documentary IMAX: Born to be Wild became available in a Blu-ray Combo pack, on DVD, and for download on 4/17. Since our youngest children (5 year old twins) have not shown too much interest in live action films, this Rated-G 41-minute long documentary on cute orphaned baby orangutans and elephants was the perfect non-animated movie for them. It was also a great opportunity for all three of our children to see how much love these animals received from the amazing people who rescued them and ultimately raised them. Hopefully they have learned how important it is to love and nurture animals as babies, just as much as it is with humans. This film is narrated by famed actor Morgan Freeman, but it was the young orphaned animals that received all the attention and the giggles from my children. The baby orangutans were allowed to do many silly things that human children are taught not to do, such as pouring out their bottled drinks or drinking their bathwater. There was also much excitement about seeing an elephant in a pair of pants and a group of elephants playing soccer. The entire documentary captured the attention of our 8 year old son, but the twins lost interest when the focus of the film turned towards returning the grown animals back to the wild. 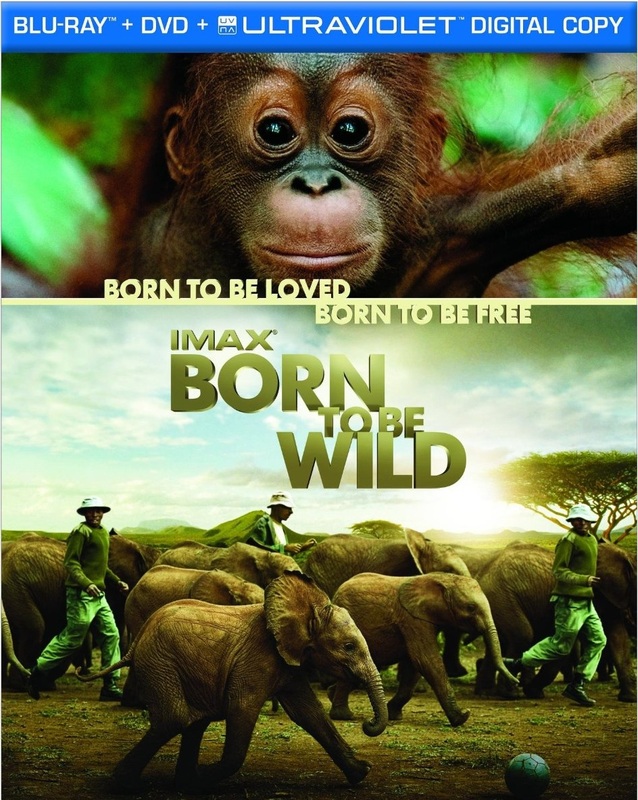 Currently you can purchase IMAX: Born To be Wild in a Blu-ray 3D Combo Pack, a Blu-ray Combo Pack, DVD, and Digital Download from most major movie retailers. Thank you to Warner Bros. Home Entertainment for providing a complimentary product sample for us to base this review upon and for providing a second product for our contest prize.